We are a manufacturing company of leather gloves from the south of Italy, the birthplace of Italian Leather Gloves. We still work with traditional technique trying to give to every glove the love and the attention it deserves. 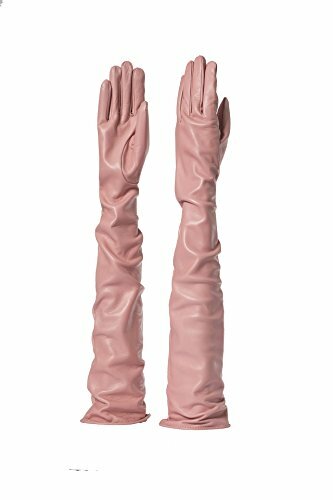 This pair of gloves is for Woman made of the best leather quality, SILK lining , inner stitching. Formal and classic style. If you have any questions about this product by PARISI GLOVES, contact us by completing and submitting the form below. If you are looking for a specif part number, please include it with your message.